Halftime shows at Super Bowls have become just as popular as the fitted rough-and-tough attractions on the field. Prince. Rolling Stones. The Who. Janet Jackson. Madonna. The Black Eyed Peas. There’s been alot of rock n’ roll on that gridiron over the years. But Beyoncé Knowles-Carter’s presence at Super Bowl XLVII may be one of the most anticipated televised mini-concerts of our lifetime. And it’s not because the Jay-Z’s queen, the former Destiny’s Child leader-turned solo act-turned actress is the best in the league, but the momentum building inside her recent rounds of publicity corroborated by today’s world of social networking and fast-food media shows just how intelligent her divadom really is. 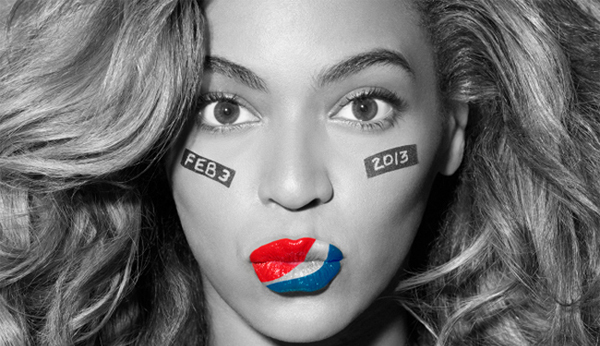 We’ve compiled just a few lead-in stories building up to Beyoncé’s throwdown at the big game. And what you should expect. Plus, we’ve done the honors of looking back at each of her solo albums, while exploring the good and exposing the bad. Plus, Destiny’s Child discography gets examined as well. You didn’t think we would forget all about DC – did ‘cha? Last year, Beyoncé embraced the New Year as a proud mother of a baby girl. She gave birth to Blue (Blu) Ivy Carter, her first child with rap mogul Jay-Z, on Saturday (8 January 2012). There was no swarm of paparazzi in place. That’s because Shawn Carter reportedly rented out the entire fourth floor of New York’s Lenox Hill Hospital, just so the “Crazy in Love” singer could deliver in (relative) peace. It ended up costing the couple a whopping $1.3 million. But that’s chump change for this power couple. 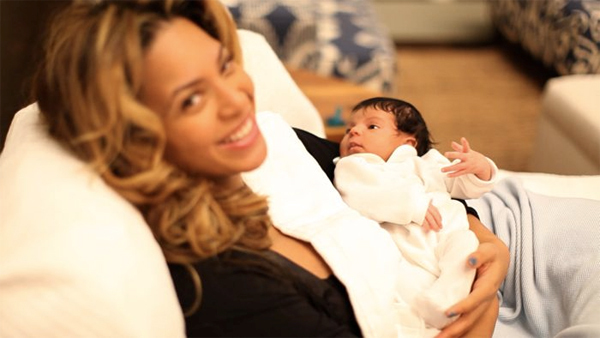 The first set of baby pictures were leaked on Bey’s website and has since travelled all over the Twitterverse. Beyoncé Knowles-Carter seen pictured with baby Blu Ivy. Like the hundreds of compilations already cluttering the shelves in music stores, Love Songs pretends to be a celebration of “greatest hits,” but only focuses on the ballads of Destiny’s Child’s catalog. Devout fans will “cater 2” it just to grab the new track, “Nuclear.” It’s a sleeper, concocted with daydreamy Janet-esque whispers and Lyn Collins beats. But it’ll probably the last time The Supremes Destiny’s Child will seriously reunite in the studio for a while. Call this a sweet souvenir, especially if Bey and the girls team up for the big halftime show. We all know Beyoncé can sing. Even if her melisma usually gets out of control from time to time, she’s proved time and time again to be a hefty vocalist. She also has no shame in performing live; she actually prefers singing live. But on January at Barack Obama’s inauguration, she didn’t do that. Instead she opted to use a pre-recorded tape of “The Star Spangled Banner” and lip synched her performance, which she did flawlessly. At a press conference only hours before the Super Bowl kick-off, Beyoncé admitted to the gathered press that she did lipsynched the performance, citing that she is a “perfectionist” and she didn’t fell comfortable in taking big risks. Not only did Beyoncé get the last word; she got the last note. So what will Bey do during halftime? The set list hasn’t been revealed yet, but one thing’s for sure, Beyoncé won’t be leaning on pre-recorded tapes. At least that’s what she says. Tired of all of the Bey coverage? Excited about this year’s Super Bowl halftime?